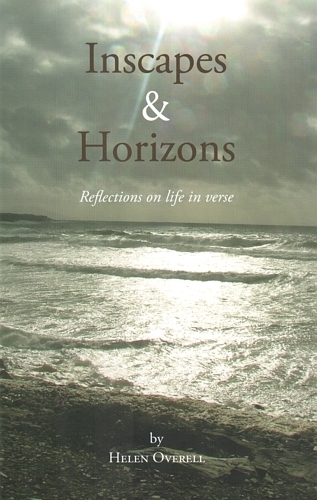 Inscapes & Horizons Reflections on Life in Verse (ISBN: 9780904849394) Helen Overell. Published by Saint Albert's Press, Faversham, Kent. In this collection of poems Helen Overell shares intimate reflections on the world and on her own life story. Though sometimes a story of sadness and burden, it is nevertheless told with expressions of beauty, wit, and hope with which many will resonate. Her poetry reveals - in the best tradition of the Carmelite Order - an appreciation of the domestic and the natural that leads to a perception of something divine. These are confident, beautifully structured poems that really please the eye, ear and heart. I was delighted to see poems I'd not met before and recognised others like an old friend. I think one word that would sum up the collection as a whole, for me, is, graceful, in the true sense of the word. "These poems have arisen ..." So says poet Helen Overell in her introduction to this beautifully presented anthology. Helen's poems, it seems, do have an intense life all of their own. Some words, images and memories rise up and immediately "clamour to be written" into poetry. These poems have that urgency which compels me to stop, look, and see again media images of Darfur, Uganda, Guantanamo Bay. Other poems, Helen says, take their time; stay dormant before they are ready to unfold. Her poems of love and loss are so perceptive and wise, yet so ordinary and familiar, that I quite believe they have taken a lifetime to mature. An aspect of her craft I appreciate is in the harmony between what each poem is about, and the way it is written. The poem 'Pub Lunch' is a flow of words like the shared laughter, 'Pieta' is as carefully structured as the marble is chiseled, and 'By Degrees' is as spare and honed as her childhood memories. The poem titled 'My Gran' delights me – it begins "my gran could peel an apple bare" and the lines curl off from there in a single, continuous ribbon. It is no surprise that Inscapes & Horizons is published by Saint Albert's Press - the Carmelites have a rich poetic tradition that is all about seeing within, and seeing beyond. Helen, a long time friend of Carmelites, has this gift of helping us to see. In 'Sunday Grace' she responds to the question: "So what is this stuff called grace?" She offers us an image of "brushed rosemary, bruised sage leaves heady with shimmer-blue sky". She doesn't explain - she simply shows where to look!